Reliance smart is well known name in market which offers its customers with almost every product online and offline. Founded in 2006 this store believes in quality and satisfactory services to its customers.They offer you with convenience to shop everything at one store from fruits to beauty products you can get everything delivered at your doorstep. Affordable and wide variety is what its customers admire. It product list includes frozen, pet food, household cleaning items, your specialized beauty & personal care products, dairy item, bakery, packaged food, vegetables, dals, oils, rice, fresh fruits, confectionery and many more. Number of coupons and offers available on certain food items for your shopping will help you to save money on your purchased items. Explore the discount options either through the mobile applications or while shopping from this store not only it will help you to save your money but will let you experience wonderful shopping. Visit the store and get Sunrich sunflower Oil 5 ltr jar, Good Life sugar 5kg combo & Fortune Rozana Basmati rice 5 kg at just Rs.999. Check out the promo page for more details. Buy Sunny Brand Sunflower Oil 5 Ltr jar, Daawat Devayya Basmati rice 5 kg pack, and Good Life Sugar 2 kg combo at Just Rs.899. Offer is valid one combo per order. Stay tuned to get the latest deals and offers. Shop Reliance Select Dubar Basmati Rice 1 Kg and up to 15% discount. It is ideal for creating a wide variety of side and main dishes, including biryani and pulao. Order Dynamix Cow Ghee 1 Ltr at just Rs.455 and save the money. Coupon code is not required to avail this offer. It can be consumed directly or can be sued in Sweets & Desserts. Get Goodlife Sugar 1 kg at Rs.9 when you shop minimum Rs.1499. Enter the given coupon code at final payment. Offer is valid once per order. Limited period offer. Offer is valid for retail customers only. Get Goodlife Sugar 1 kg at just Rs.9 when you shop for Rs.1499 & above. Use the given coupon code on the payment page. Offer is valid once such offer per order. Offer is valid for retail customers only. Limited period offer. Shop online and get Goodlife sugar 1kg at just Rs.9 when you order minimum Rs.1499 or more. Grab the coupon code to redeem this offer. Rs.9 will be charged in the final bill. Discount is valid for retail customers only. Limited period offer. The complete grocery destination : Busy schedules leave us with very less time to shop for groceries. Shopping for them online has come as a great boon and especially if you choose a store like Reliance Smart. You can get superior quality products at best prices. 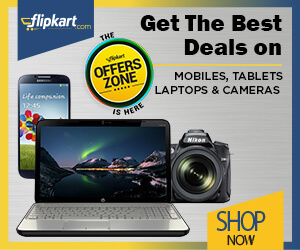 Browse through thousands of products to take your pick by going through different categories. Products are listed in convenient sections like Fruits and Vegetables, Daily and Bakery, Grocery and Staples, Packaged Foods, Drinks, Confectionary and Snacks, Household and Personal Care that help you shop easily in minimum time. The store commenced its operations in 2006 and has more than 93 real time stores in the country. Explore several advantages of shopping including reliance smart offer at this mega store from the comforts of your home by reading on. When you shop from Reliance smart, you can choose from more than 6000 products that are divided into sections to aid shoppers. Buy much required products like Basmati rice, health drinks, biscuits and cookies, dals and pulses, chocolates, detergents, shampoos and conditioners, breakfast cereals, etc. Some of the popular brands that you can check out are Patanjali, Best Farms, Good Life, Amul, Kellogg’s, Britannia, Tropicana, Surf Excel, etc. Quality assurance is another advantage with this store. The ‘Offers’ page allows you to view deals on a variety of products. You have a responsive customer service that you can contact on any day of the week between 8.00 am and 8.00 pm by calling on 02261220220. Groceries can be expensive and often throw your budget out of gear. But there are ways and means you can save on your grocery bill especially when you shop at Reliance smart. Using coupon codes from Savio Plus is one of options that help you get your favorite products at lesser prices. You simply need reliance smart coupons for the purpose and copy the code. After you have shopped and added everything to your cart, you need to paste the copied code to apply the offer. A discounted amount will now be displayed for you to pay. Payment can be done through different options like net banking, debit and credit card, digital wallets like Paytm, Mobikwik, Jio Money, cash or card on delivery, food coupons, etc. that makes it convenient for all. Several offers from this grocery brand helps you save every time you buy from here. You get flat discounts on minimum orders. By going through the ‘Offers’ page, you can find out about every discount that you can avail. If your order exceeds Rs. 750, you are eligible for free delivery at your preferred location. By signing up for the newsletter, you can receive fresh reliance smart deals, exclusive deals and promotional offers right in your inbox. You can also receive notifications about special offers about new product launches at low prices. Besides you can also use online discount coupons for this store. If you pay with mobile wallets like Paytm, you can also earn through cashbacks that makes your shopping inexpensive. Reliance Smart gives you an opportunity to shop smart and get maximum value for every penny that you spend. Using online coupons from Savio Plus is one of the best ways you can save on your monthly grocery bills. You can get coupons from every leading merchant even for other products like fashion, beauty, food, etc. to get the best deals.